A Sporran is a small pouch worn around the waist so as to hang in front of the kilt as part of men’s Scottish Highland dress. Measures 7 1/2″ x 7″ overall. 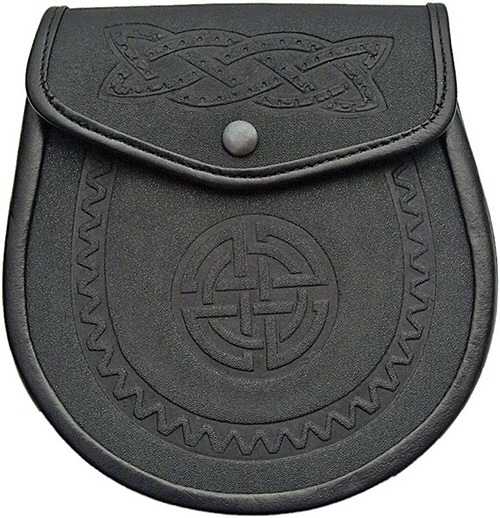 Black leather pouch with Celtic knot pattern embossing, three braided leather tassels, snap closure and belt attachment hooks on back. Includes black leather belt attachment and stainless chain.